In just two days, the 2014 Olympic Winter Games will open in Sochi, Russia and the world will once again come together under the Olympic ideal of Citius, Altius, Fortius. Russia has emerged as an important player in international education in recent years. The Organisation for Economic Cooperation and Development (OECD) ranks the Russian Federation as a leading source of international students in Europe, after only Germany and France, but also as an increasingly important destination for internationally mobile students as well. Student demand remains strong. The government is making moves to attract more foreign students to Russia. And there are clear indicators of important labour market gaps that will largely be resolved only through better access to high-quality education. But can Russia continue to soar Faster, Higher, Stronger in 2014 and beyond? A softening domestic economy and conflicting policy directions will likely have much to say about how the Russian education market develops for the years ahead. Russia’s Minister of Economic Development Alexei Ulyukayev drew international attention late last year when he indicated the country’s economic growth would likely not exceed 2.5% per year through 2030. 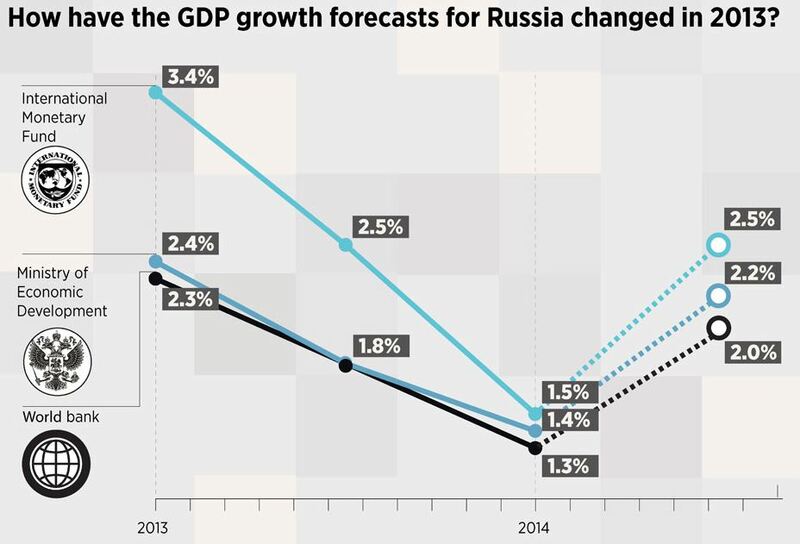 Against a broader backdrop of continuing economic challenges in Europe, the Russian economy fell off sharply in 2013. Gross domestic product grew by just over 1%, the lowest rate of growth since the country’s most recent recession in 2009 and a notable drop from the 3.4% growth registered for 2012. “In key indicators such as labour productivity, there is a two-to-three-fold gap between us and the developed economies. We must work hard to close this gap. Needless to say, any softening of the Russian economy will eventually impact demand for study abroad. Relative currency values are an important early indicator in this respect and the Russian currency is off sharply this year, raising speculation that more Russians may prefer to limit travels abroad in 2014. President Putin’s December address at the Kremlin called for further efforts to strengthen higher education in Russia and for Russian institutions to expand their efforts to attract foreign students. It seems clear that higher education is seen both as an important incubator for innovation and the development of intellectual property in Russia – we have reported in the past on major investments in higher education by the Russian government – but also as an important export sector in its own right. Russia has become a more popular destination for international students in recent years, in part because of the strong cultural and academic traditions in the country and in part because of its affordability for visiting students. These are the factors that will tip the balance in the Russian market in the years ahead. On the one hand, the country’s economic challenges are profound and persistent and that will be a challenge in terms of demand for study abroad for the foreseeable future. On the other, the way forward for Russia rests in large part on the ability of Russian students to access high-quality education. This compelling need – both for individual students and families but also for Russia’s broader economic and social interests – may well offset the country’s negative economic trends and continue to drive demand for international study going forward. This entry was posted in Agents, Europe, Higher Education, Regions, Russia and tagged internships abroad, European Union student recruitment, vocational schools abroad, colleges with international students, education abroad.